The Faculty of Geodesy, Geospatial and Civil Engineering was promoted to the scientific category A; it is the only geodetic faculty in Poland with this category. The decision to grant this category to the Faculty was issued by the Ministry of Science and Higher Education on 27 August. This evaluation was granted largely on the basis of academic and creative achievements of the staff and the scientific potential of the faculty. - ‘Our scientific potential continues to grow. Our employees successfully climb the ladders of the academic career. It is important and very optimistic that the number of publications increased from 18 to even 60 within a short time during the year,’ says Professor Radosław Wiśniewski, the dean of the faculty. Apart from that, the Ministry of Science and Higher Education took into account the financial results of scientific activity. - ‘We have still much to do in this area. We must motivate scientific teams to acquire a larger number of grants, to carry out projects, and to obtain patents and utility designs,’ adds the dean. The Faculty is also trying to improve its co-operation with the business sector. One person will be designated for this purpose as an intermediary in contacts of the faculty with enterprises. The last criterion taken into account by the Ministry of Science and Higher Education was other results of scientific activity. - ‘This means the individual activity of employees, such as organising and participating in conferences, and sitting in various committees, boards and other bodies. We can be proud that our employees hold significant positions in the National Science Centre, in international organisations or editorial boards of journals,’ informs the dean. 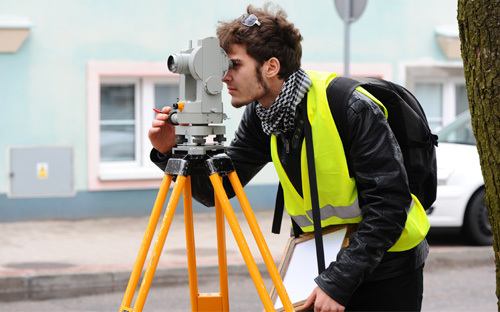 In May this year, the field of geodesy and cartography received a ‘distinguishing’ mark for the quality of education, being the only field of studies of this kind in Poland that has received such a grade. - ‘I hope that now the Ministry will grant us financial aid resulting from this distinction. This will allow us to improve the quality of our education, including the purchase of equipment, such as digital levelling instruments, for our students and the development of the IT infrastructure,’ adds the dean.